Statins reduce coronary heart disease (CHD) morbidity and mortality over a wide range of patients. 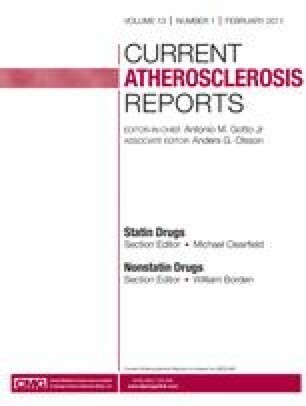 The Justification for the Use of Statins in Prevention: an Intervention Trial Evaluating Rosuvastatin (JUPITER) in subjects with elevated C-reactive protein, without vascular disease and below average low-density lipoprotein cholesterol (LDL-C) showed a 50% reduction in LDL-C with 20 mg/d of rosuvastatin and a reduction in cardiovascular events (hazard ratio 0.56 [95% CI, 0.46–0.69]; P < 0.00001), and a reduction in total mortality (20%;P < 0.02). Recent commentary has criticized perceived JUPITER design flaws and inappropriate influence. However, the Canadian 2009 guidelines cite JUPITER as class I evidence for statin benefit. Although the Cholesterol Treatment Trialists’ (CTT) Collaborators showed that, regardless of pre-treatment levels, statins can significantly reduce CHD, major vascular events, and overall mortality, a recent primary prevention meta-analysis showed no decrease in all-cause mortality. Preconceived notions on statin benefit or harm do not enhance patient care and clinicians should individualize long-term statin therapy. Keith C. Ferdinand has been a consultant for AstraZeneca and Novartis. He has received grants from Novartis, honoraria from Novartis, AstraZeneca, and Forest, and payment for educational programs from Forest and AstraZeneca.